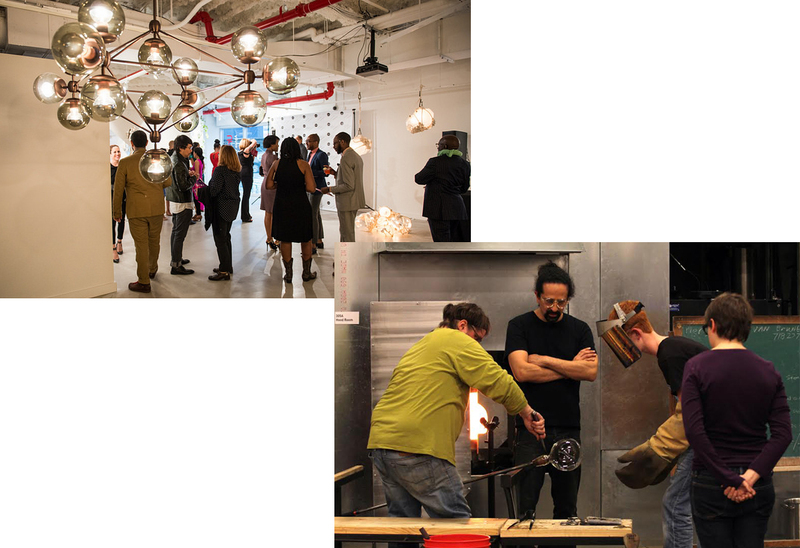 UrbanGlass hosts a variety of private hands-on activities, including birthday parties and corporate workshops, and also rents various spaces for receptions, dinners, and meetings. Private Receptions and Events: UrbanGlass' Agnes Varis Art Center, 17,000 square-foot studio, and classroom are all available for rent for private events. For more information, please contact Kellie Krouse, at kelliek@urbanglass.org or 718-625-3685 x246.